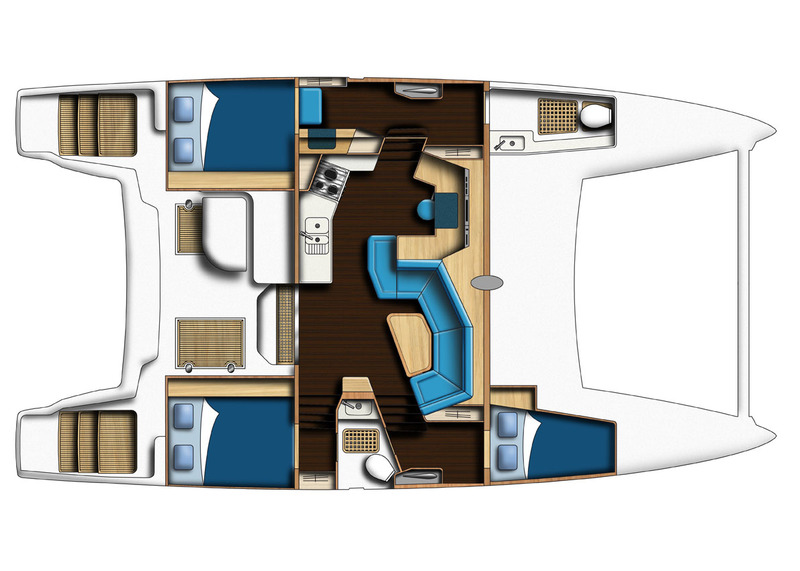 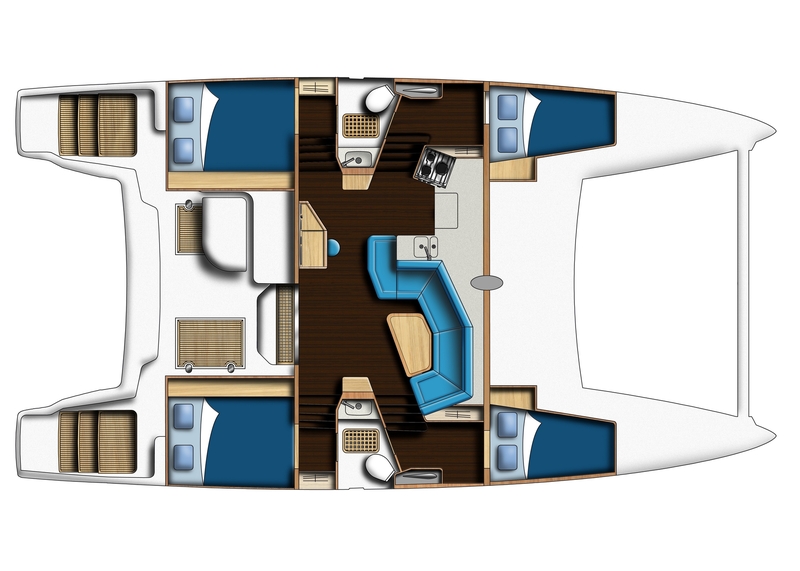 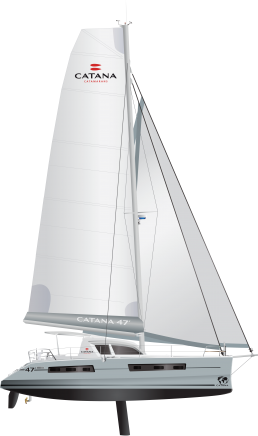 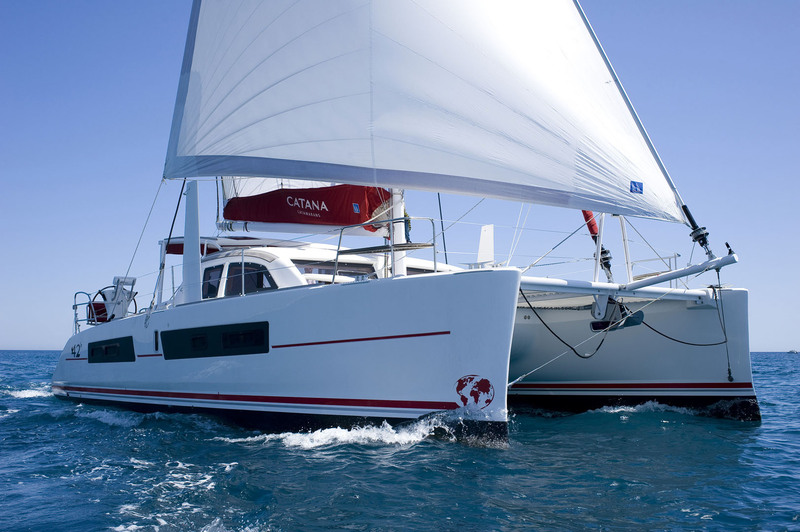 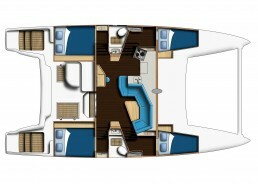 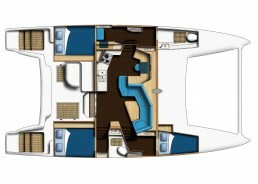 Truly in the spirit of Catana, the C42 brings together all the exclusive technical innovations in an exceptional 12.6 metre catamaran. 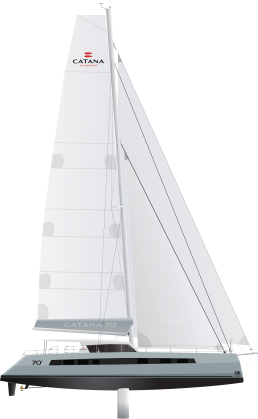 A unique length to beam ratio, lifting daggerboards which allow the boat to plane downwind, and inclined, tulip-shaped bulbous bows, will all become quickly apparent, as much at sea as in port. 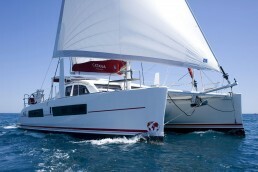 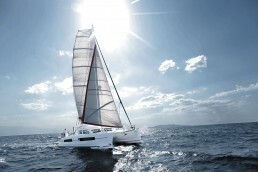 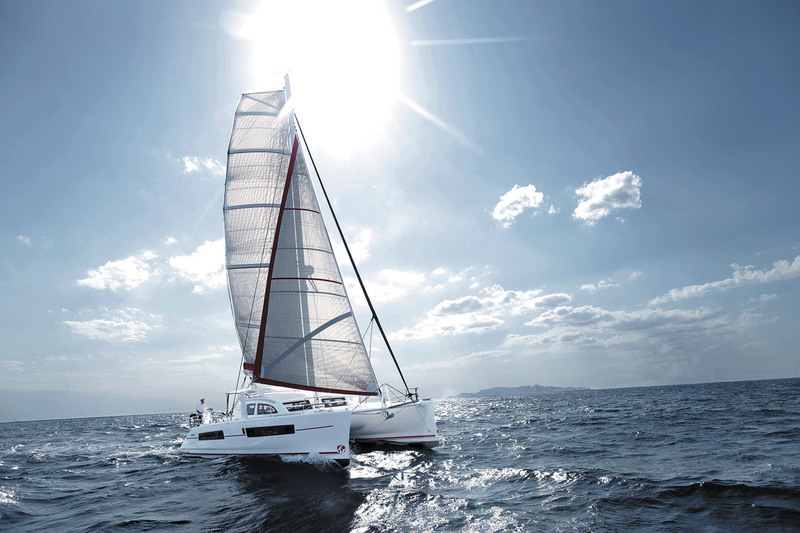 At the forefront of semi-custom yacht-building, the high-performing Catana 42 is as resilient as it is light. 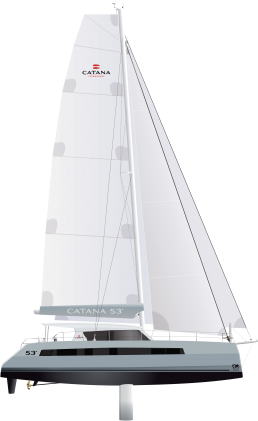 With speeds of up to 20 knots downwind and 12 knots upwind, the Catana C42 generates an extremely high level of comfort and safety unequalled in its class, allowing the crew to enjoy sensations previously only available to racing skippers.